Ascott is preparing to open a new Somerset property in Bangkok, Thailand. 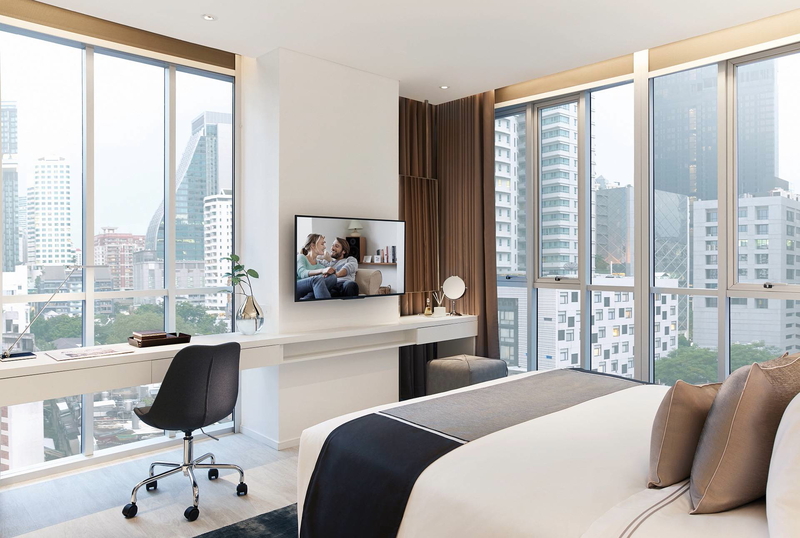 The Somerset Maison Asoke Bangkok, scheduled to officially open on 28 September 2018, features 125 Studio and One-Bedroom serviced apartments catering to both leisure and business travellers. With the Asoke BTS skytrain and Sukhumvit MRT stations just steps away, the property is complemented by a vibrant neighbourhood with a wide range of residential as well as lifestyle amenities, including cafes, bars, shops, supermarkets and shopping malls such as Terminal 21. Mr Brian Tan, the Country General Manager for Ascott in Thailand and Laos, said, "Somerset Maison Asoke Bangkok offers a distinctive accommodation experience in a warm and relaxing environment that will make our guests feel right at home. Each residence is beautifully fitted with all the necessary amenities that makes it a home and yet features state-of-the-art technology that our guests have come to expect of Somerset's international-class quality accommodation." On-site facilities at Somerset Maison Asoke Bangkok include a fully-equipped gym, a swimming pool, sky garden, and a restaurant. Special rates from 28 September start from around THB 2,300. This addition strengthens Ascott's position as one of the largest international serviced residence owner-operator in Thailand with more than 4,300 units across 20 properties (including pipeline projects) in Bangkok, Sri Racha and Pattaya. See latest HD Video Interviews, Podcasts and other news regarding: Ascott, Somerset, Asoke, Bangkok.